Identify potential collaborators. Find cutting-edge scholarly works. Showcase research expertise. 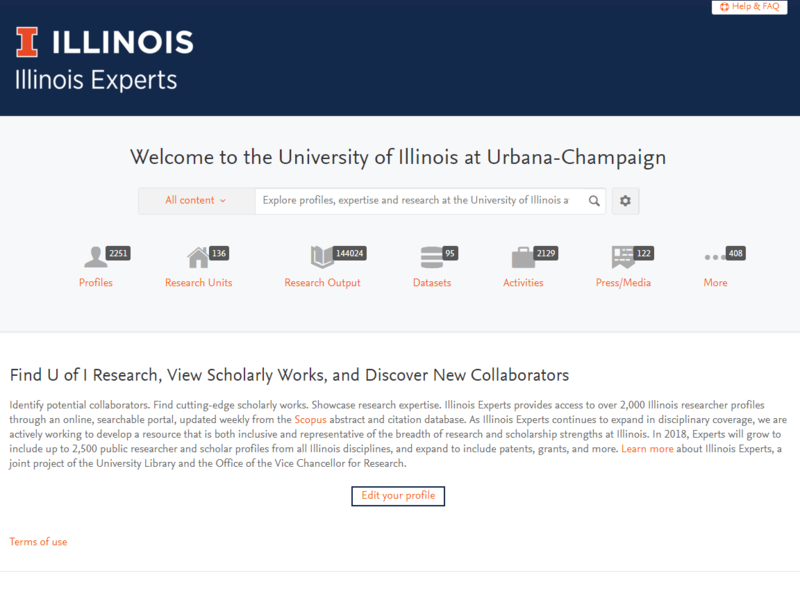 Illinois Experts is a joint project supported by the University Library and the Office of the Vice Chancellor for Research that provides a public portal intended to showcase research and scholarship expertise at Illinois and to facilitate connections among our researchers and with those at other institutions. Publication information on the portal is updated weekly through an automated connection to the Scopus abstract and citation database. The data available in Experts will expand in both scope and value over time, and we are actively working to develop a resource that is both inclusive and representative of the breadth of research strengths at Illinois. The campus strategic plan called for stronger infrastructure to foster scholarship, discovery and innovation, and specifically included the development of a faculty profile-sharing database. Illinois Experts is the first step in achieving that goal. 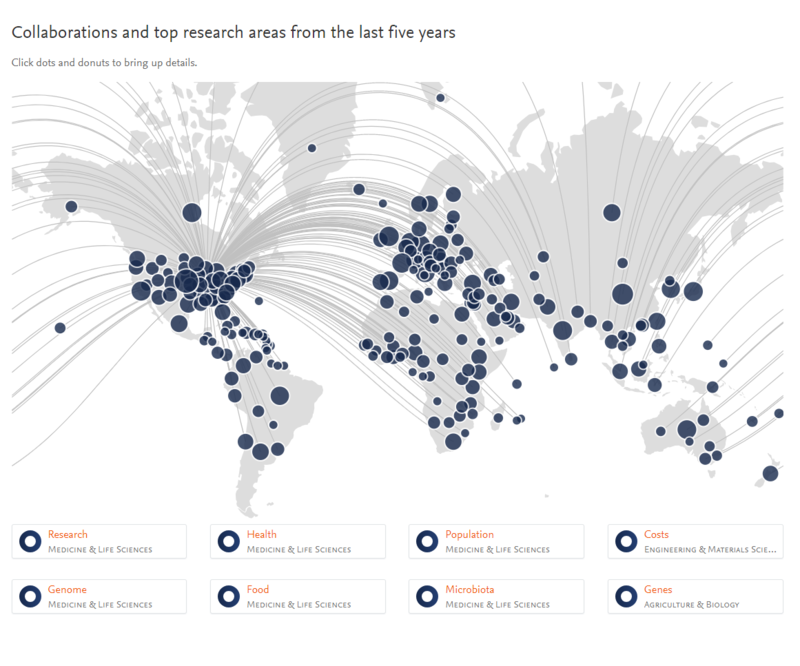 The portal will enable faculty, students, and staff to discover research expertise and potential collaborators, and will serve as a showcase for research and scholarly achievements at Illinois. In addition, Illinois Experts will provide a central portal for external audiences seeking information about Illinois expertise, including potential off-campus collaborators and research sponsors. It will also support the economic development mission of the campus by improving the accessibility of our scholarly expertise for both corporate partners and private citizens. 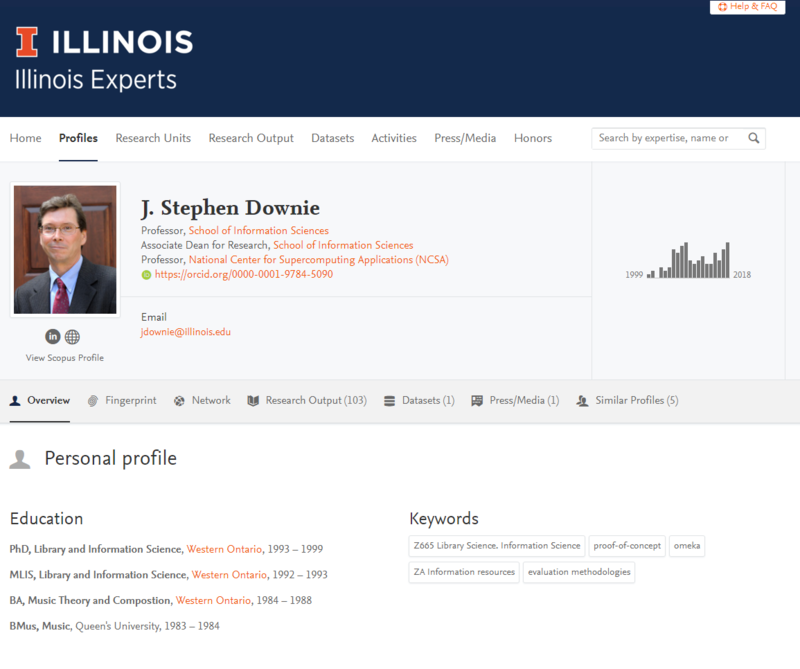 Nearly 2,000 tenure-system faculty profiles are available on the Illinois Experts portal, along with a limited number specialized and emeriti faculty and academic professional researcher profiles. While the automated, weekly publications update from the Scopus database has provided many researcher profiles (mainly for those in the STEM disciplines) with a robust list of publications, the project team has manually entered nearly 9,000 publication records (books, book chapters, non-Scopus-indexed journal articles, etc.) to supplement profiles for scholars in the humanities, arts, and social sciences. In addition to the publications data found in Experts, we have begun harvesting dataset citations from the Illinois Data Bank and plan to gather campus grants and patents information for entry into Experts. Units may assign staff delegates to help manage or supplement the information in Experts on behalf of their affiliated researchers.